These usually go fast when I can get them. 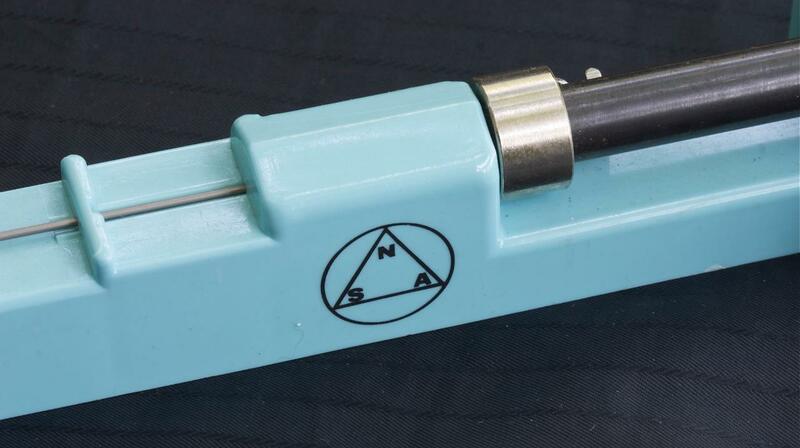 NSA Switzerland original vintage bracelet sizing tool, with the NSA logo on the side. Nothing compares for an NSA band adjustment. 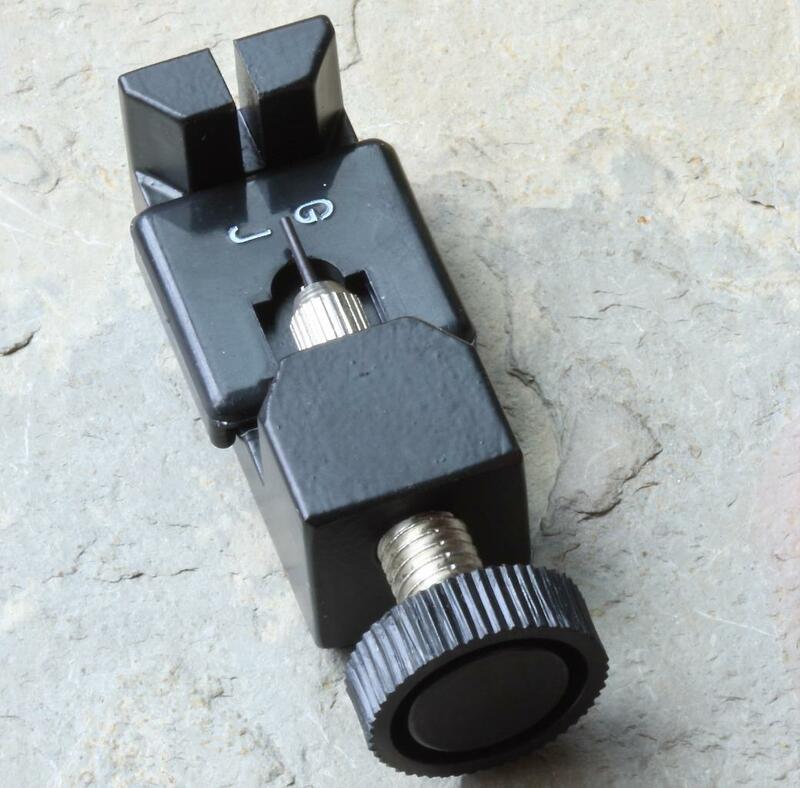 Holds the link of any 18mm wide NSA band in a small curved recess. 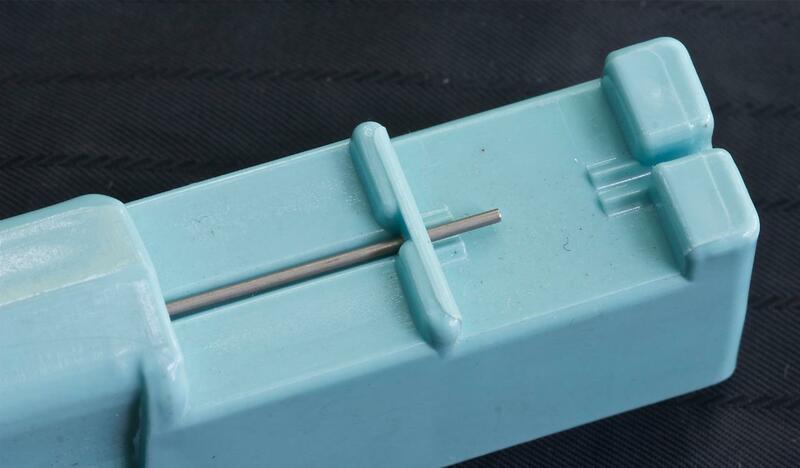 One quick snap and the nail type pin will pop right out. Take it from someone who has worked on hundreds of NSA bands over the last 20 years. Comes with a photocopy of the original NSA instructions for using this tool, which is a useful document for any collector with many NSA bands. This is in its original plain box. NSA band dealers swore by these tools. Unusual and useful addition to any Heuer or chronograph or diver's watch collection, since you'll definitely be working with NSA bands. This won't damage your rare NSA links or twist your expensive vintage NSA band. 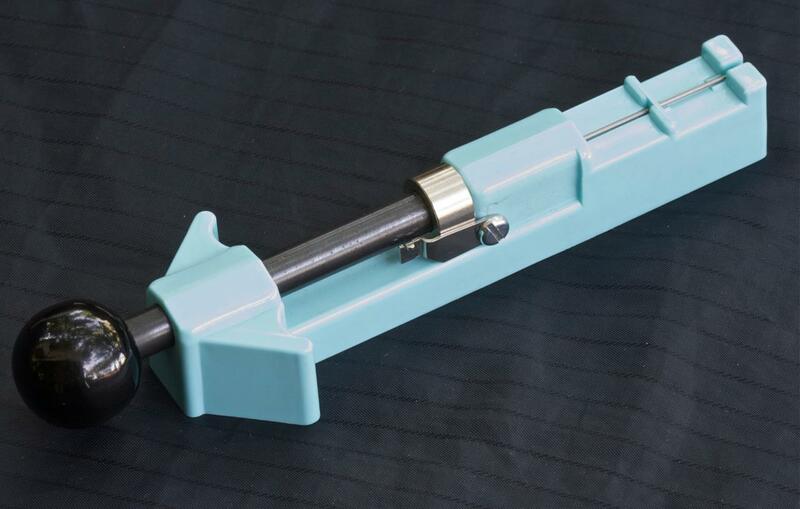 This rare watch tool is 7 1/2 inches long (18.5cm). Price $135 with free U.S. 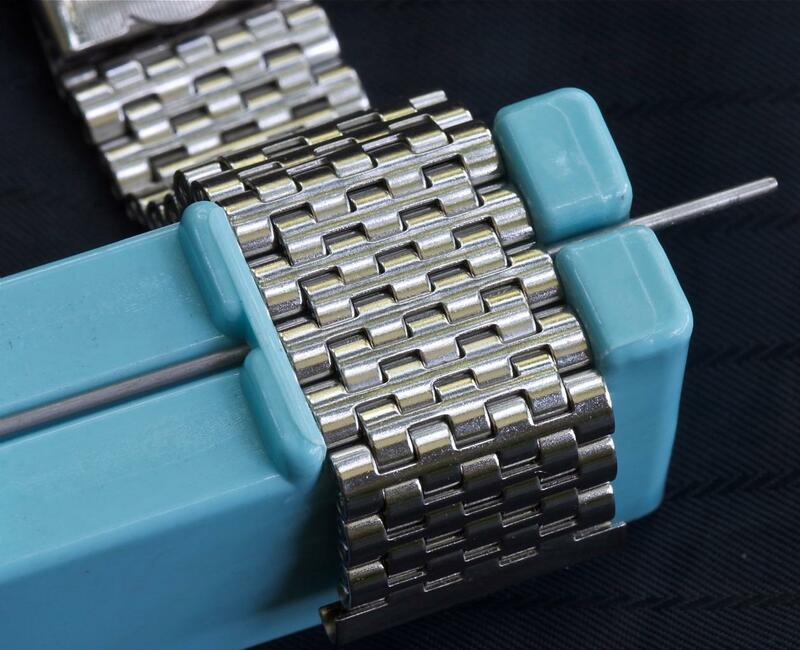 Priority shipping as an OTD/Chronotrader special benefit. International buyers please email for shipping quotes. 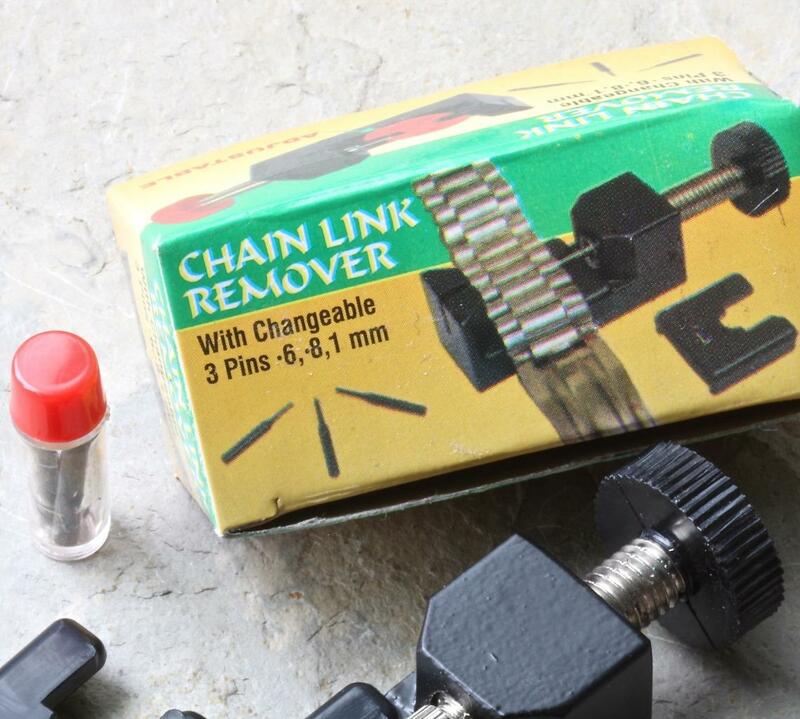 I also now stock these inexpensive bracelet link remover tools, and I swear by this particular one. You'll see many similar ones advertised, but I've used this exact brand for many years with far better results. You can manage your NSA band sizing jobs with just this tool as well, but I find having one of each makes the job go faster. 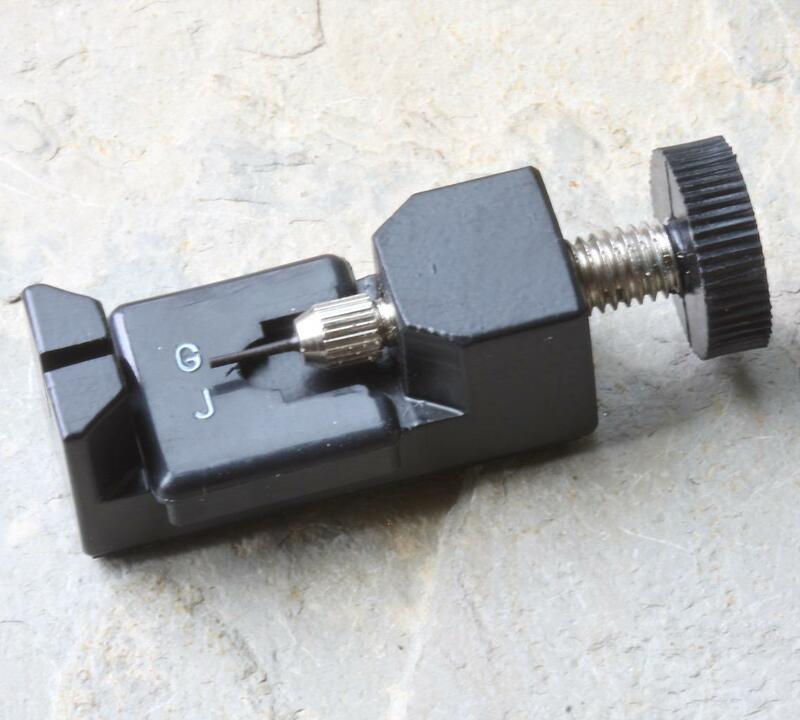 Also the NSA tool above only handle links up to 18mm wide. 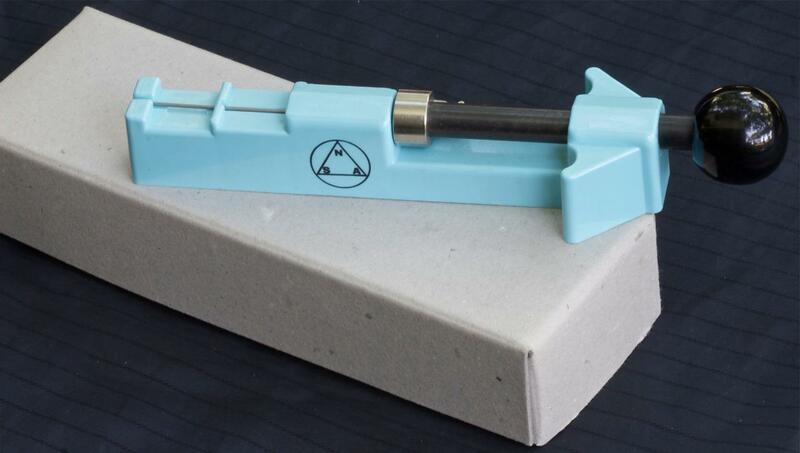 You will need this second link pin remover to help you with the wider NSA links and to take off end pieces. Comes with extra pins of different widths. Price $25 including U.S. shipping. Price is $40 if shipped internationally. I have many references here. 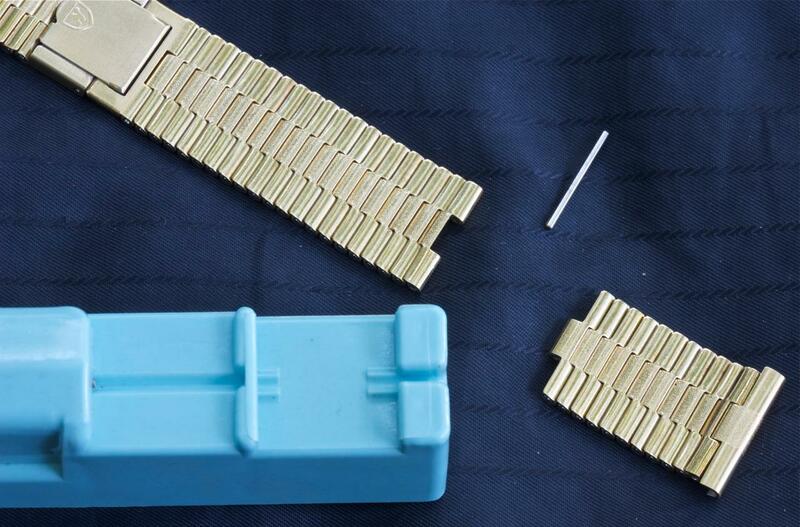 Email billmahoney@aol.com if you have questions or go to the Heuer or NSA Swiss Bracelets sections at Squinky.com to see many complete NSA bands, spare links for nearly ever NSA band ever made, end pieces, NOS clasps and clasp springs.